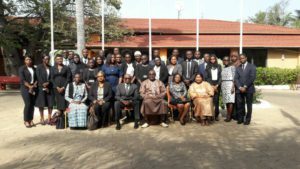 The Institute for Human Rights and Development in Africa (IHRDA), in collaboration with the Gambia Judiciary, is organizing a two-day refresher course for Magistrates in the Gambia, with focus on the application of international human rights law in judicial practice. The workshop that runs from 13-14 December 2017 brings together thirty (30) Magistrates from various parts of the country. Discussions cover diverse pertinent issues, notably The Gambia’s international human rights obligations, the application of international law in the domestic setting, and the role of the judiciary in promoting The Gambia’s international human rights obligations. 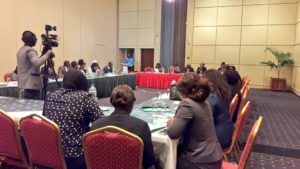 Given that the violation of women and girls’ rights features as a major area of concern in the human rights records of the country, this workshop also has a specific dimension on the rights of women and children, who remain particularly vulnerable in The Gambia. 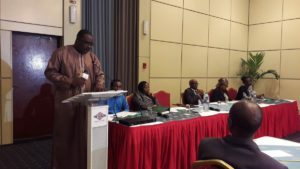 The workshop is in line with the dynamics in the New Gambia, wherein there have been calls for reforms and capacity-building in State institutions, notably institutions with a mandate to protect and promote human rights. It should be noted that, in the past couple of decades, there had been little or no independence of the judiciary, and the judiciary was often known for playing an important role in violating the rights of the people, such as the right to personal liberty, right to fair trial and a remedy, together with the principle of equality before the law. This course, which is one out of a series of activities IHRDA is carrying out with the judiciary, will contribute in instilling a human rights culture in the Gambia judiciary. The activity is funded by National Endowment for Democracy, USA.